How do you access your songs when you don’t have an internet connection? Nobody wants to stream music with the limited data plan when there is no wifi. Obviously, Spotify is aware of this, so they’ve made it possible for Premium subscribers to save music for offline listening. It’s one of the features that really makes it worth the $9.99 a month. 1 Can I listen to Spotify offline? 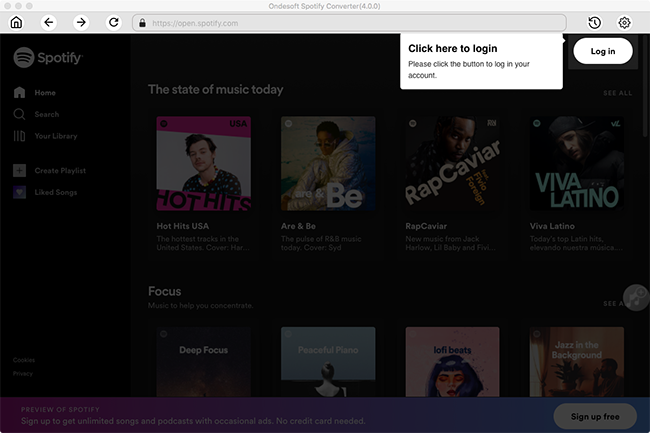 If you're a Spotify Premium user, you can listen to Spotify's millions of tracks offline from your computer, tablet or mobile. But if you are a free user, you can’t listen to Spotify offline. 2 How do I listen to Spotify offline? Switch on Download to the right of any playlist. You can also switch it on for all Songs in Your Library. When it's finished downloading, the Downloaded symbol appears to the right of the playlist name. 3 How do I listen to Spotify offline with Spotify free? 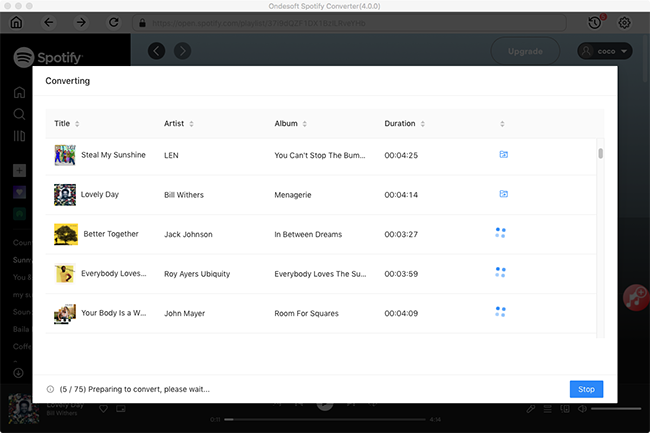 Although Spotify doesn't offer free users offline listening experiece, you can use other tools to download Spotify songs and enjoy them offline. 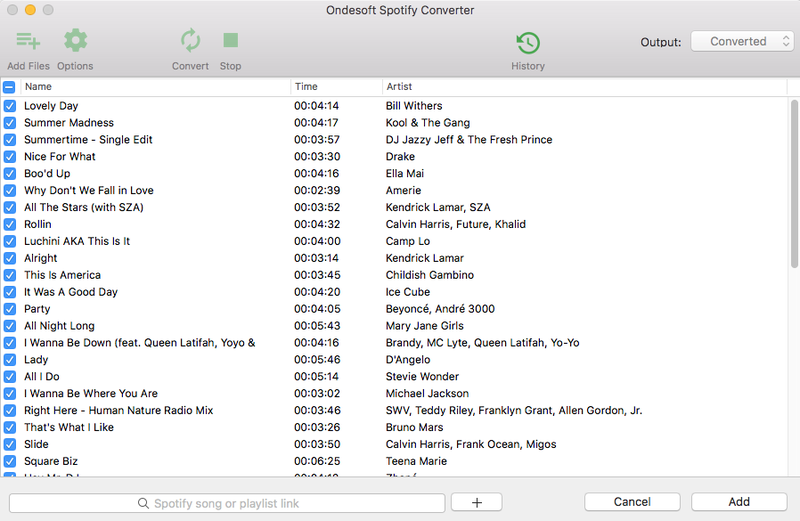 Here we will recommend Ondesoft Spotify Converter.Ondesoft Spotify Converter is a powerful app for Mac and Windows that allows you to download any Spotify songs, albums and playlists to mp3/m4a/wav/flac on Mac and Windows. 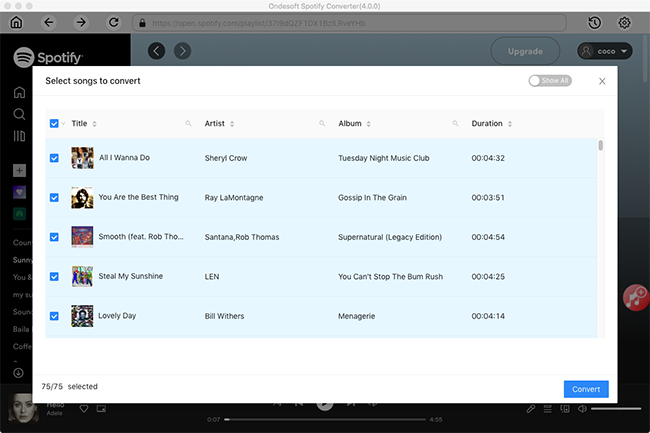 How to download Spotify music with Ondesoft Spotify Converter? 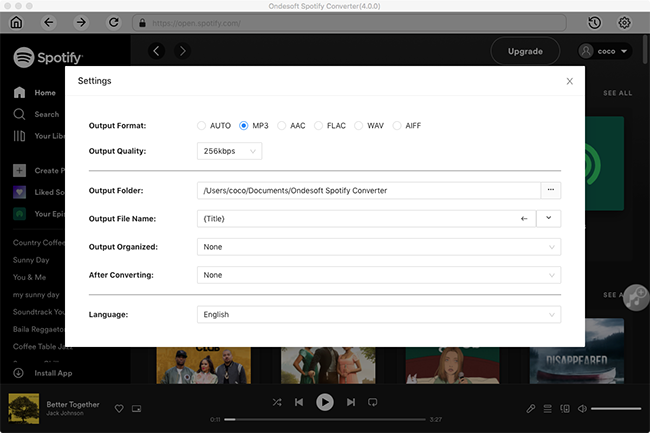 Find the songs you want to download, then drag the song, album or playlist to the main interface of Ondesoft Spotify Converter. Or you can click the Add Files button, copy and paste the url of the song to the search box on the bottom of the program. Click the Add button, then songs will be added to the conversion list. Click the Convert button to start downloading Spotify songs. Wait for a few minutes, you can find all offline songs by clicking the History button. 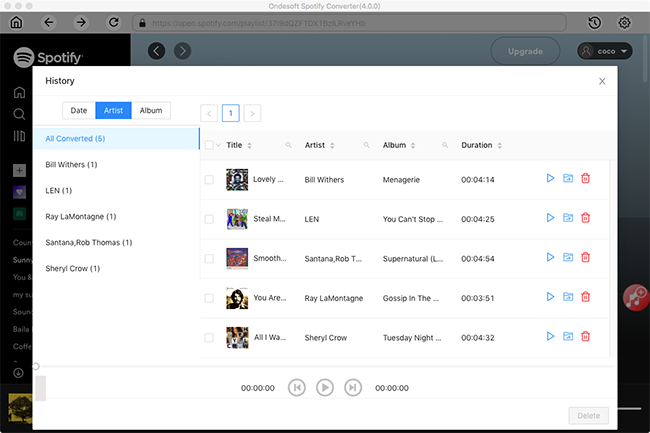 After downloading, click below folder icon to quickly locate the DRM-free Spotify songs, albums or playlists in MP3 format. You can then transfer and play them anywhere such as iTunes , Google Play Music , iPod , Sandisk , etc. or burn them to CD .